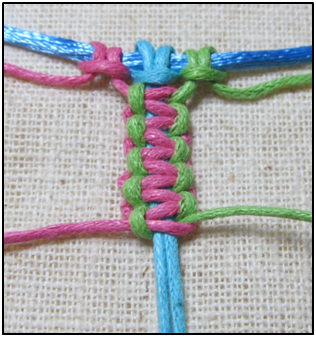 This is one of the most popular knots in micro macrame. 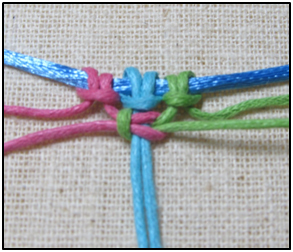 You can work the knot beginning with either the right cord or the left. I usually begin with the left cord. It is most often worked using two outer cords and two or more inner or filler cords. 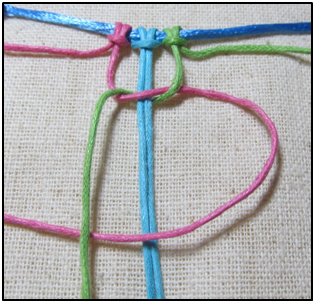 Place the left cord over your filler cords. 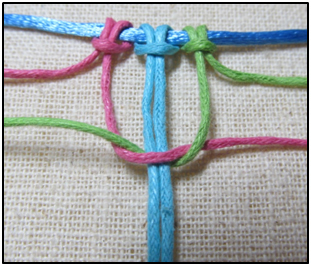 Then place the right most cord over top of the left cord. 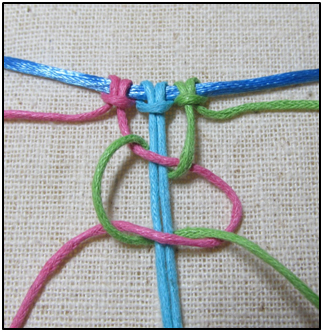 Take the right cord and move it under your filler cords, then out over the left cord. 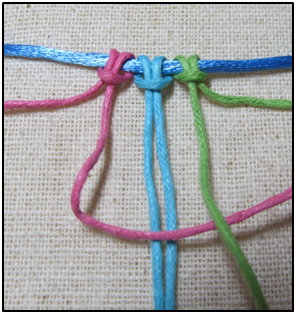 Since we worked the first half of the knot with the left cord, we now begin with the right. So place the right most cord over the filler cords. Then put the left cord over top of it. Run the left cord underneath the filler cords and out over the right cord. The picture shows what the cords look like, however you will want to tighten the first set and then snug up the second set. Here are several in a row, which is called a sennit.